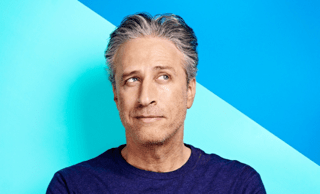 After 16 years of delivering a nightly dose of the Daily Show, Jon Stewart left us with his final Moment of Zen. A quick camera pan to the left, a final mock pen stroke and like a dandelion gone to seed, satirical segments disappeared into the wind. An era ended as the drifting beat of Bruce Springsteen and The E Street Band played out Land of Hope and Dreams. For those paying attention however, Stewart left behind his final dissertation, a well-worn and earned doctorate in leadership. Graduates, skip the GMAT. CEO’s grab a #2 pencil. Entrepreneurs mark your calendars. Resident Expert, Jon Stewart is in session with his final farewell—a 60 minute MBA salvo. Talent Breeds Talent: One by one the pantheon of daily correspondents filed out to pay their respects and demonstrate Lesson One—talent both breeds and attracts talent so hire your core with care. Be a Mentor: ‘You’ve made it,’ means making others a priority. It’s about leaning back and lending a hand to those that follow. Have a Conversation: Even if your seat is behind a big desk, get yourself and your people on the street to bring in the world’s conversations. Call Bulls*&t: It’s easy to believe the hype when you are the hype. Continue to call Bulls#&t when you see it, even if it’s your own. Celebrate Success: Fuel your organization by taking and making the moments to celebrate the wins, big or small. Be an Example: It’s easy to set an example, it’s hard to BE an example. It’s up to you to set the tone of the day, each and every day. Honor the Team: All the good stuff happens behind the scenes. Make certain those in the corridors, on the docks, behind the screens and in your corner are recognized and respected for their part. Define a Time: It’s easy to recognize a trend once it’s underway, it’s hard work to design something that will become a part of the zeitgeist. Pave a road no one else owns. Show Emotion: There is a place for emotion in the boardroom, tears and all. Show all sides. Work Hard, Really Hard: Enough said. Segment your Audience: Respect is earned when you know yourself and your audience well. Don’t try to optimize for everyone and certainly not for those you didn’t invite to your party. Respect Your History: Culture is not made in a day. Continue to share your stories inside and outside of your company. End on a High Note: Know when it’s time to exit, have a succession plan and rock out with those who made the journey worth it! Learning from Jon Stewart’s success can offer you useful ways to succeed on your path to #leadingwithclass.